Macroautophagy is a catabolic process for the lysosomal turnover of cell organelles and protein aggregates. Lysosomal degradation products are displayed by major histocompatibility class II molecules to CD4+ T cells in the steady state for tolerance induction and during infections to mount adaptive immune responses. It has recently been shown that macroautophagy substrates can also give rise to MHC class II ligands. We review here the breadth of antigens that may utilize this pathway and the possible implications of this alternate route to MHC class II antigen presentation for immunity and tolerance. 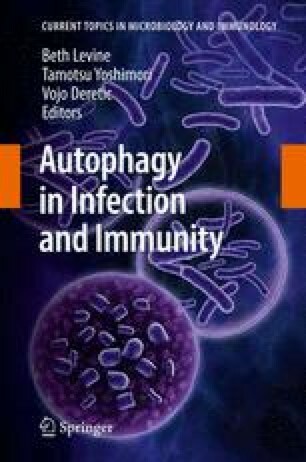 Based on this discussion, it is apparent that the regulation of macroautophagy may be beneficial in various disease settings in order to enhance adaptive immune responses or to reduce autoimmunity. Our work is supported by the Arnold and Mabel Beckman Foundation, the Alexandrine and Alexander Sinsheimer Foundation, the Burroughs Wellcome Fund, the Dana Foundation’s Neuroimmunology Program, the National Cancer Institute (R01CA108609 and R01CA101741), the National Institute of Allergy and Infectious Diseases (RFP-NIH-NIAID-DAIDS-BAA-06–19), the Foundation for the National Institutes of Health (Grand Challenges in Global Health), the Starr Foundation (to C.M. ), and an Institutional Clinical and Translational Science Award (to the Rockefeller University Hospital).